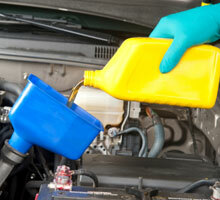 To keep your vehicle running smoothly and avoid costly repairs, trust the staff at Mohr’s Automotive. From oil changes to fluid flushes, we’ll help keep your vehicle running at peak performance, saving you money and headaches down the road from repairs due to neglect. We offer a one-year unlimited mileage warranty on all repairs, unless otherwise specified. Contact us today to learn more about the services we offer and our commitment to the highest quality.